For many years, I have done the exact same thing inbound to EAA AirVenture Oshkosh. I fly on Sunday on United from Eugene, Oregon through either KSFO or KDEN, ending up at KORD to play airline roulette and see if UAL flies that last flight of the day north to KATW, or cancels it as they have done many times. That always leaves a large number of #avgeeks stranded at the gate, many going into crisis mode as they had early Monday press conferences to present on opening day. But this year, I am changing up my inbound routing, and it’s going to be a hoot. Instead of flying the usual routing, I am flying into St. Louis (KSTL) and meeting up with Derek Thomas (@derekwthomas) for a road trip to Oshkosh. Why? No idea…but the scheme was hatched one day on Twitter, and he sounds like my kind of people. Derek is a territory rep for a food service company, so he is as much a “foodie” as he is an #avgeek. I stalked his Facebook likes before saying “hell yes” and saw all of his likes were either aviation or food related. No hate, politics or fringe conspiracy theories. Just food, airplanes, music and fun…right in my wheelhouse. 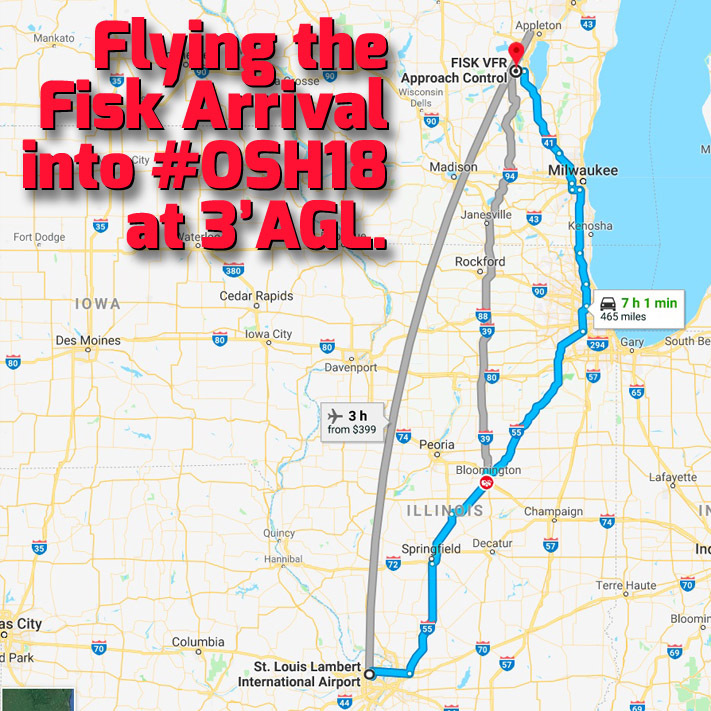 After departing KSTL, we will eventually end up in Chicagoland to meet up with Isaac Alexander (@jetcitystar) who will be in the area and on his way to Oshkosh. We may check out some aviation museums, eat some good food, and could even run into @Jen_Niffer to join the fun as she is also driving westbound through the area on Saturday. I am cooking up some other things for our time in Chicago (unconfirmed tower tour at KORD or ZAU-Chicago ARTCC), and I do hope our visit in the area involves some serious Chicago-style deep-dish pizza. After playing around Chicagoland for a bit, we will depart the area Sunday and go direct towards Oshkosh to make our first stop at the FAA temporary Approach Control “tower” at Fisk. I have been there before, and it is a serious gas…those controllers are the best of the best, and they are a joy to watch as they shoehorn a long conga line of inbounds through the congested AirVenture airspace to a safe arrival. Cost of admission is some donuts, but the foodie in the group (Derek) suggests our afternoon arrival will make donuts the wrong choice. I will be counting on him to come up with the perfect edible bribe so the controllers can let us hang out for a while. Since Derek is also staying at the University of Wisconsin dorms like me, we will end our Sunday excursion there, check in, and prepare to enjoy several days at the World’s Largest Aviation Celebration. There might even be a stroll through Camp Bacon in the evening to say hello to the best #avgeeks on the planet. That all sounds WAY better than being stuck at the O’Hare Airport Hilton on Sunday night like last year, trying to get on the first KATW flight in the morning, growling as I lose valuable time at the show. *My arrival into the World’s Greatest Aviation Celebration will be at 3AGL, about the distance between me and the interstate. It’ll be fun with a bunch of #avgeeks all headed in the same direction, all stoked to be on our way to Oshkosh. Yeah, sign me up. Is it July yet? 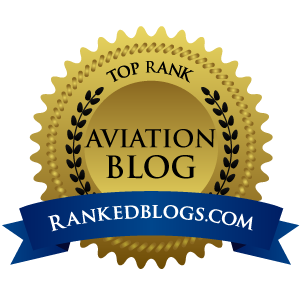 As this blog is dedicated to aviation, you usually see only content in that realm on here. But today I am deviating from my preferred routing to offer a review of a new book that is something truly special. It is not about airplanes, it is about trading the stock market, and if you’ve ever thought maybe you too could jump into that fray and make some money, I personally recommend Swing for the Fences: From Debt to Wealth in 7 Steps by Jason Bond. I have always been fascinated with the markets, and over the years, have dabbled at day trading always on paper only (no real money invested) and always ending up with a loss. After reading Jason’s book, I now know the lack of success was due to me not developing the winning mindset of a trader, not going “all in” on learning how trading works. As you will see in the book, there is far more to trading than simply buying and selling shares of stocks. In fact, even if you know a bit about this stuff, when you hear Jason’s story and see how he turned $250,000 in debt into a portfolio of around $7 million today, you will learn that actually hitting that “buy” button on any of the online trading platforms is a small part of what happens when successful traders make money in the stock market. Jason Bond was educated as a teacher, and spent 10 years in the New York state school system as a popular teacher and sports coach. In that time, he and his wife amassed a great deal of debt – student loans, mortgage, car loans, credit cards and personal loans. The debt was killing his chances of ever building a solid financial future, and he knew he had to make a change. After reading the writings of Dave Ramsey, Jason and his wife set out on a four-year hard-fought journey to rid themselves of debt, and succeeded. He had always wanted to learn to trade stocks, and after learning the basics, began trading profitably for a big online stock picking website. But he soon found out that he could use his teaching skills to mentor others to learn what he was doing, and that work morphed into a giant community of people he mentors today at jasonbondpicks.com. With over 7,000 members, he passes along his huge knowledge of trading by being authentic, and showing everyone what he trades every day and why he makes those trades. One of the best things about what he does today is to not only show his winning trades – which are really something to see – but also his losses…and there will be losses. He does not sugar coat anything, and when he makes a bad call and loses, he does a video to analyze why the trade failed, and turns every loss into a teaching moment for his members. I am one of those members, and after reading his book, I have been watching his training videos and practicing his strategies in a paperMoney platform from TD Ameritrade. I can assure you that what he teaches works, but only if you truly go “all in” and are determined to first try it his way before experimenting on your own. I’ve been at this for six months now, and only in the last two weeks have I enjoyed consistent wins and very worthwhile profit. Yes, it is all still in the “paper trading” realm, but Jason’s advice to learn first and spent as long as it takes trading “paper” to build up your skills is very important. 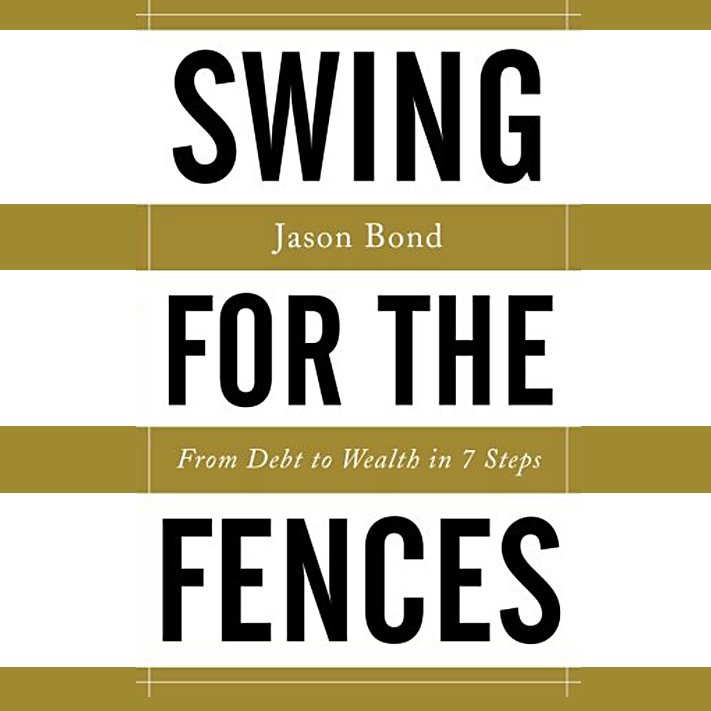 Swing for the Fences: From Debt to Wealth in 7 Steps is not a step-by-step instruction manual on how to trade stocks. He does not give you intimate details of each trade, or provide many examples of winning trades. For that, you need to sign up for his service, watch his videos carefully, and invest the time to truly learn it all, because there are an endless number of things to learn. After watching Jason’s training videos – most of them twice – I equipped myself with the tools needed to spot a winning trade set-up, learned how to read charts, dissect financial information about companies, and thought I was ready to start trading…again only on paper. But what happened is this: I would establish a daily profit goal, with the intention of stopping trading once I hit that benchmark. Say I’d be looking for $500 profit in a day. Using his strategies, that number was very easy for me to hit. In my world, and if I were trading for real, $500 a day would be huge. But I often hit that mark one hour into the day’s trading session, and would continue to watch the markets fluctuate. In that time, greed would take over, and I’d get back into what would usually be losing trades, wipe out the day’s profit and often erase some of the profits I made previously. I had let greed win, and was not following Jason’s strategy exactly. How stupid does one have to be to ignore someone who turned his kind of debt into a portfolio worth over $7 million? This guy has made over sixty grand in the first few trading days of 2018! He knows his stuff, but I had not mastered the fine art of reining in my emotions. I had not gained the “winner’s mindset” Jason writes about in his book. Now, I am happy to report that the greed gremlin is behind me. I have had 10 profitable days of paper trading out of the last 11 days, and the one losing day was due to a massive Internet connectivity issue when I was offline and didn’t notice a big trade I made had dumped over $1.00 a share. I would have gotten out with a small loss had I seen the dump happening. This is the kind of thing that makes Swing for the Fences: From Debt to Wealth in 7 Steps such a valuable book if you want to learn how to trade stocks. There are probably a million stock pickers on the web, but Jason will teach you how to build the right foundation to give yourself a competitive advantage against the other traders in the game. He relates trading to sports in the book, writing that in baseball, you need to be “Swinging for the Fences” every time you step up to the plate…anything less will not do. He explains in clear detail how to evaluate your own personal traits, and through easy-to-read chapters, the book lines out every aspect of how a trader needs to think in order to consistently win. So if you have ever wanted to invest some money and trade stocks but were not sure if it is right for you, drop the $24.99 ($15.99 paperback, $9.99 Kindle) and read every word of Jason’s book. You might come away knowing swing trading like he does (buy and hold 1-4 days) is not for you, avoiding huge financial losses if you get in and do it all wrong. Or, like me, you will find out that there is a way to “go all in” and learn this stuff from the bottom up, and develop the skills through extensive paper trading to fund your account and trade for real. Jason’s members are making a LOT of money every day, not just mirroring his picks but using his strategies to pick their own. I am running about 50/50 his picks and mine, and I assure you when you apply his strategies, good things happen. And now I return you back to aviation and airplanes, my usual fare on here. And speaking of airplanes, I am seeing one in my future. I should be ready to trade for real in 2018, and if I have the kind of success that is possible by learning what Jason Bond teaches and applying it to smart trades every day, the possibilities for me filling a future hangar are endless.